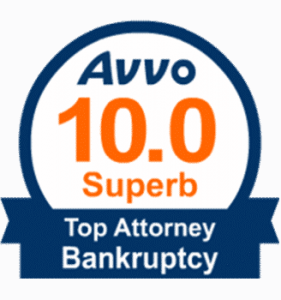 Client reviews via Avvo, which provides detailed information on lawyers and legal issues so that you can make the choices that are right for you. During a battle with cancer, I had to have a major surgery at a facility outside of my insurance network in order to save my life. I survived the experience and stress, but was left with six figures worth of medical debt and a whole new pile of stress to deal with. After much discussion, and consideration, it turned out that filing bankruptcy was my best option in working towards a fresh start in life. I contacted several area attorneys, but ultimately decided on Sherry Ellis. During our initial meeting, she listened carefully to my situation, and offered to take care of this for me, so I could focus on healing up. She seemed genuine, compassionate, and knowledgeable from the start, and this proved consistent throughout our experience working together. While there was a lot to sort through as the medical bills kept pouring in, we somehow managed to keep track of it all, and got the bankruptcy accomplished. There was an instant relief upon filing; the calls and letters from creditors totally stopped. I began to stop dreading going to the mailbox or the phone numbers calling that I didn't recognize. Unexpectedly, just a few days after filing, my mailbox was packed full of letters from lenders offering everything from credit cards to auto and home loans. The option to start rebuilding and using credit was available to me immediately. From start to finish, this experience was easier, quicker, and yielded better results than I could have ever imagined. While it sounds a bit cliché, I feel as though I finally have my life back. A huge thanks to Sherry, and her team for making this possible. Atty. Ellis provided a free consultation. She thoroughly explained my options under the law. She was compassionate and gave me hope. The great recession, cancer diagnosis, my wife and myself, vacation home in Tennessee and a bank that would not help us avoid foreclosure on that 2cd home, all resulted in our filing chapter 13 bankruptcy. Research, led us to Sherry Ellis to handle our case. Ms Ellis was very professional and knowlegeable in guiding us through this very unfortunate situation. We highly recommend Sherry Ellis. Ms. Ellis is extremely knowledgeable and processed my matter quickly and efficiently. I rarely had to ask for an update regarding my matter. My matter and personal situation was taken seriously with no judgments. I would highly recommend her services. I contacted Sherry Ellis after a failed business attempt and I could no longer keep up with my credit card payments. I had been served papers for a lawsuit against me and I was scared and embarrassed as I have always had great credit, I found it hard to believe I was in this situation. Sherry Ellis was amazing from the moment I met her. She walked me through the decision to file bankruptcy and was always available to answer my questions. She would even respond back to me on evenings and weekends. She was truly a blessing to me during this difficult time! Without a doubt, Sherry Ellis is the best attorney I have ever met. Sherry is passionate about her profession and her clients and will stop at nothing to get the job done, Ms Ellis is a Godsend to anyone struggling through financial hardships, through bankruptcy or facing foreclosure.